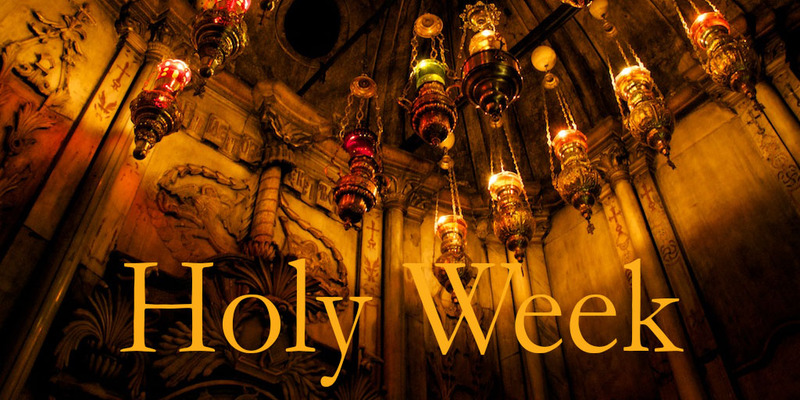 Welcome to this week’s Bishop’s Blog as we are about to begin Holy Week! 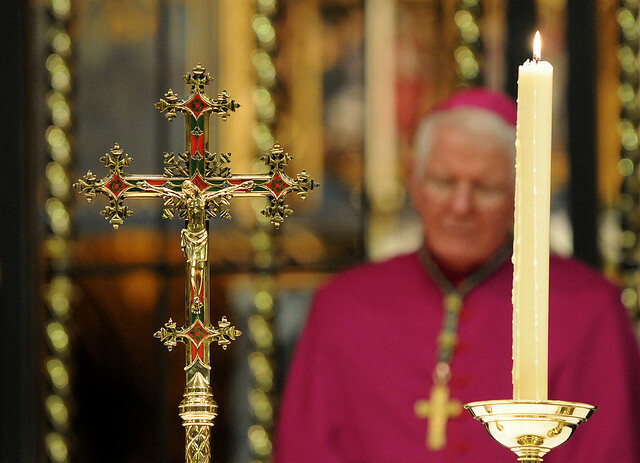 The Church’s liturgical year, with Christ at its centre, reaches its climax with what we call the Sacred Triduum – Holy Thursday, Good Friday, and Easter Saturday/ the Easter Vigil. The events of Holy Week solemnly recall the death and resurrection of Jesus Christ and our redemption through his sacrifice of love on the cross. 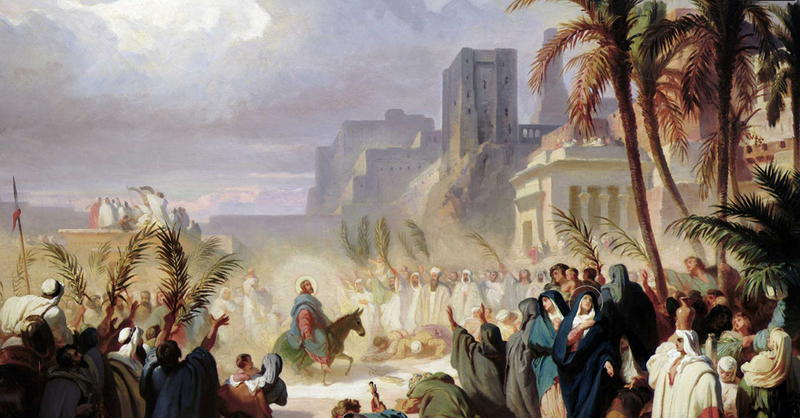 Beginning with Palm Sunday, the Church once more relives her Lord’s triumphal entry into Jerusalem, carrying palm branches and walking in worship and in spirit behind him. 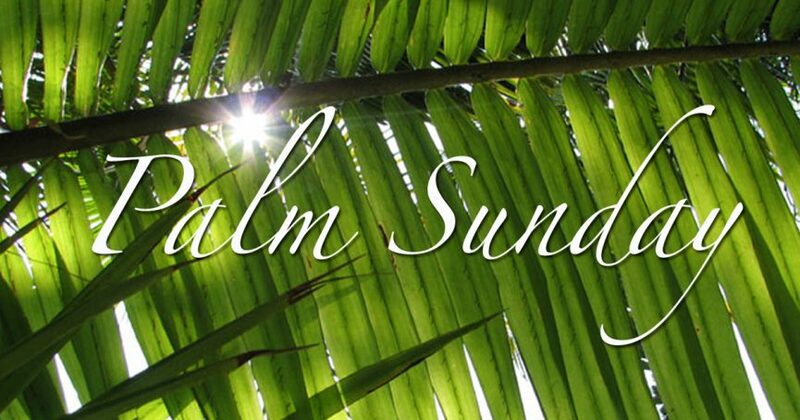 The blessed palms are often brought home and displayed prominently as a pious reminder of that first Palm Sunday and the start of what would be Our Lord’s last week on earth. 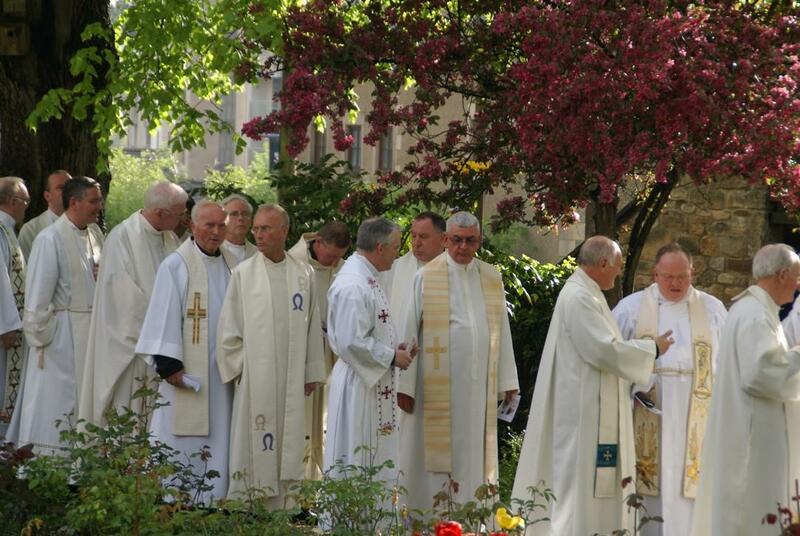 In the Cathedral of every Catholic diocese, usually on Holy Thursday, the bishop surrounded by his priests blesses the oils of catechumens, the sick and chrism which will be used in the administration of the various sacraments throughout the Diocese in the course of the next twelve months. 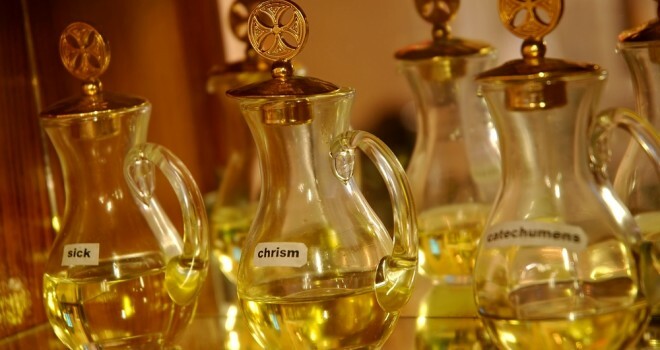 The Mass of Chrism, the only Mass in the Diocese that morning, has for long been an almost well-kept secret, but is open to all, and those who attend for the first time are often very taken by the rich spiritual and liturgical experience it offers. I warmly invite everyone to join my brother priests and I for this invariably moving occasion at 11.30am in St. Peter’s Cathedral, Lancaster this coming Thursday. This will be my final time celebrating this Mass. 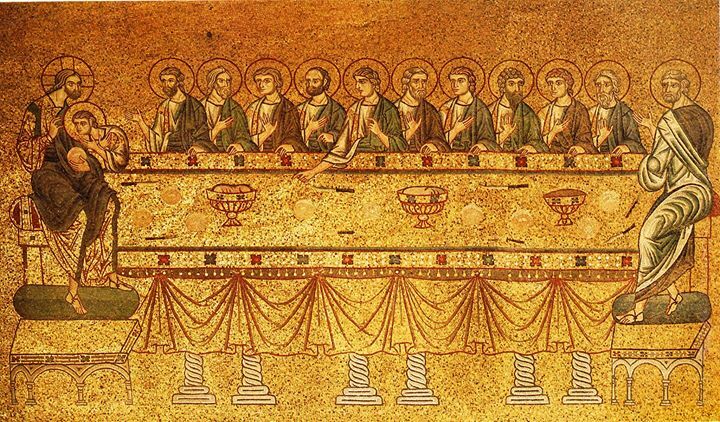 On Holy Thursday evening the Triduum proper begins with the Mass of the Lord’s Supper, recalling the Lord’s institution of the Holy Eucharist in the company of the Twelve. The Church and all believers, even after two thousand years, still ponder and wonder at this astonishing ‘Mystery of Faith’, when Christ anticipated the sacrifice of himself on the following day, by declaring that the bread and wine were his body and blood, to be broken and poured out for the redemption of the world. 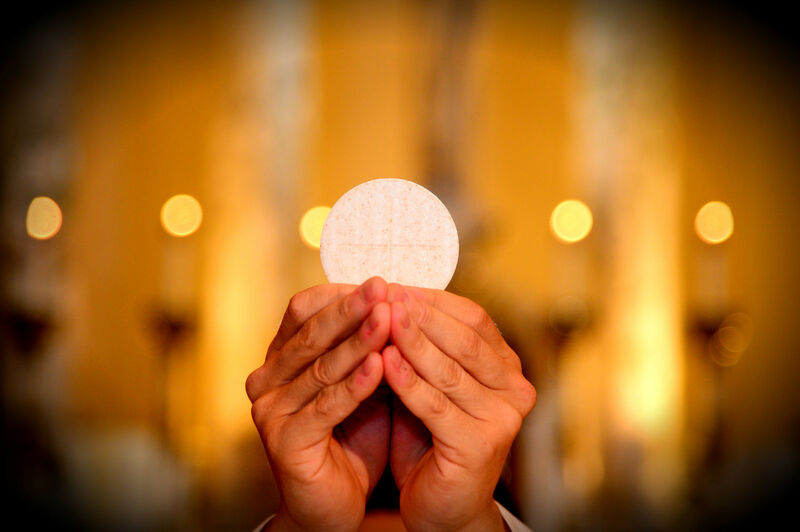 Our own presence at this evening Mass represents a very precious sacramental moment, when in a mysterious yet somehow real manner we join the company of the Lord and the Twelve for the first Mass in the Upper Room. The subsequent procession to the altar of repose after Mass allows us to watch and join Christ for a time, remembering his agony in Gethsemane. 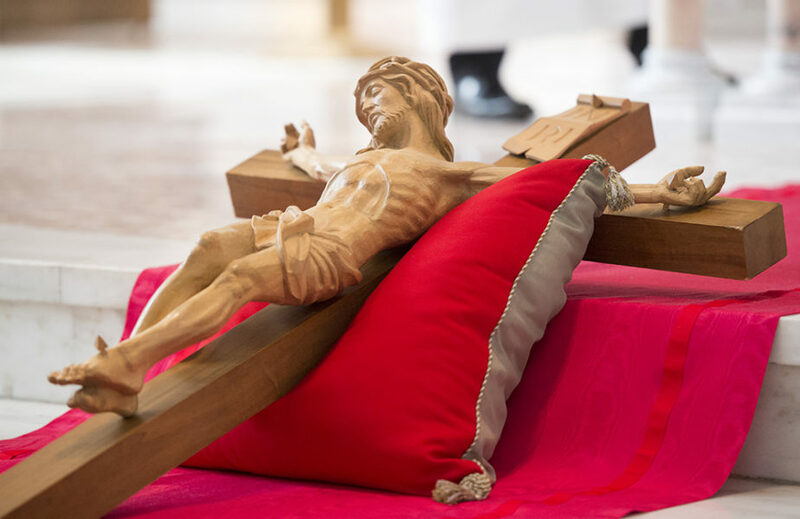 In the Good Friday liturgy we relive Christ’s final hours, his fulfilment of the Scriptures, and St. John’s account of the Passion. 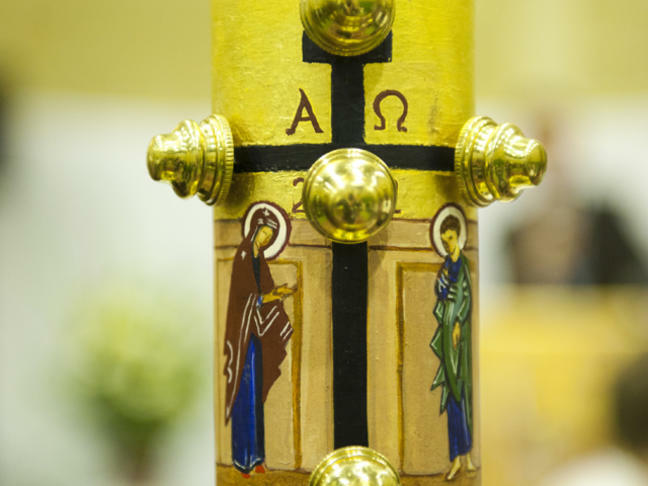 The unveiling of the cross and its veneration touch the believer deeply. 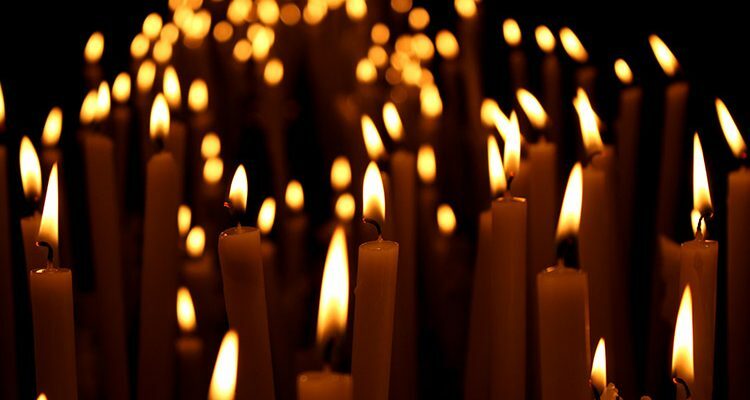 An ancient tradition calls the Easter Vigil the Mother of all Vigils, and with very good reason, for at this most solemn Vigil the Church triumphantly celebrates Christ’s victory over death and all the hostile powers associated with it. Christ is risen! She will proclaim From now on everything is different, all is irrevocably changed. Death no longer has the final word, God the Father did not leave his Holy One in the power of the grave. Easter means a new dawn, for the glorified Christ and for those who believe in him. 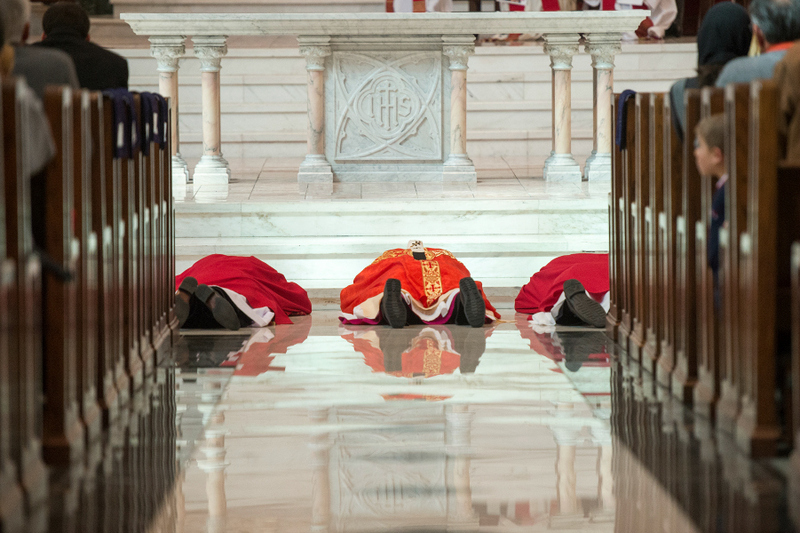 At this Vigil we are invited to enter mysteriously into Christ’s death and resurrection by renewing our baptismal promises and walking the path of new life which his paschal sacrifice has made possible. 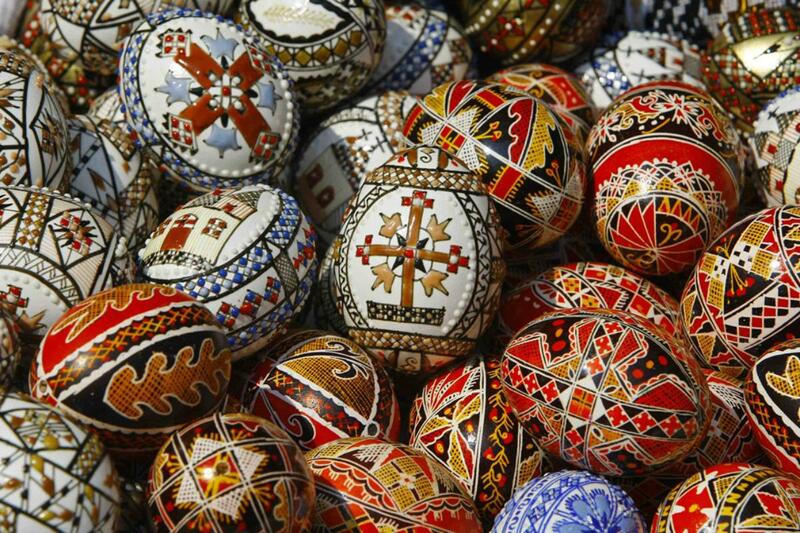 Because of what we celebrate at Easter, the believer now sees life from an entirely new perspective. A new light has burst forth into our world, and one that will never be extinguished. May our participation this Holy Week be rich in grace and consolation for all of us who follow in the footsteps of our Saviour!